Quench your guests' thirst with a bottle of Herbal Mist 20 oz. sweetened green tea with honey and yerba mate! This beverage uses simple, natural ingredients, making it a healthy alternative to sodas. It contains a touch of pure honey, ensuring each sip is as sweet and flavorful as the last without being too overpowering. The light, invigorating taste will have your patrons dreaming of sunshine and cool, summer breezes in no time. The tea is infused with Paraguayan yerba mate, an herb that adds subtle, woodsy notes for a distinct taste. Yerba mate makes the tea rich in antioxidants for additional health benefits, and provides consumers with a natural boost of energy without the caffeine crash that can come with drinking coffee or energy shots. 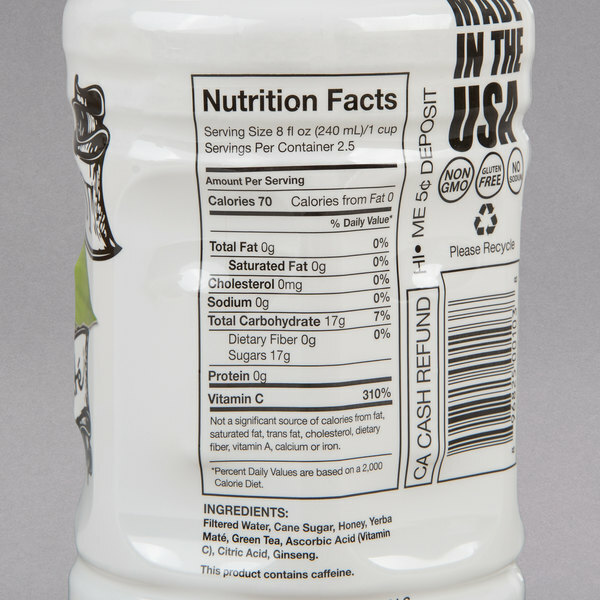 Give customers a healthier beverage choice with this green tea. 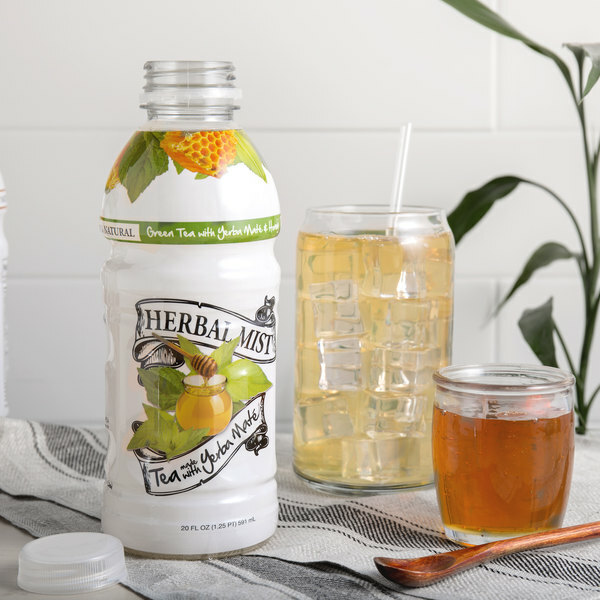 Herbal Mist offers a variety of tea refreshments that combine all-natural tea and fruit flavors with healthful herbs. Each beverage is freshly-brewed to perfection and sweetened with pure cane sugar or stevia. 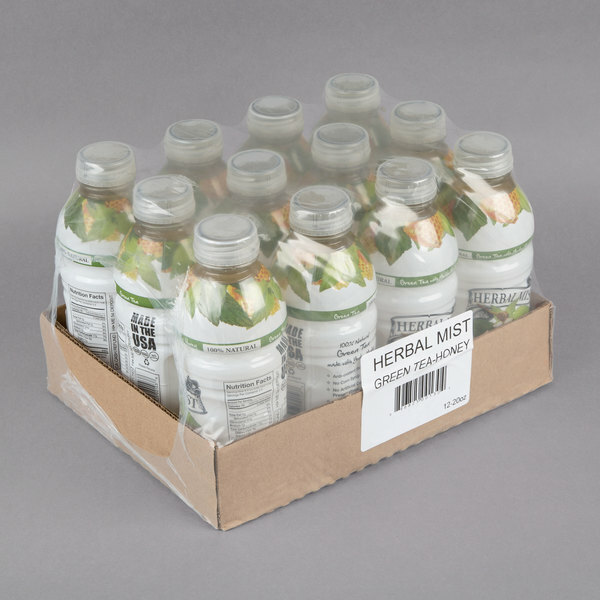 Satisfy your customers' request for a fresh, rejuvenating drink option with Herbal Mist teas! 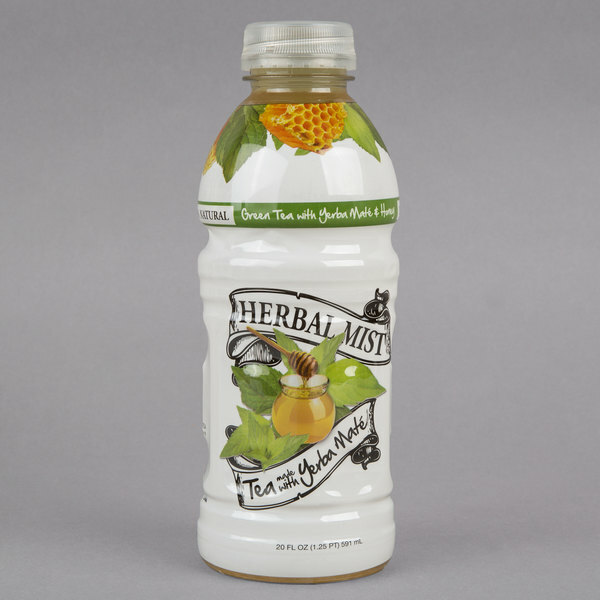 Herbal mist Sweetened green tea has a very standard green tea taste to it. No harshness or bitterness. The honey really goes well with it, makes it really smooth. A great tea brand to carry in our sweets shop and the sweetened green tea with honey and yerba mate is o yummy. The bottles are well packaged during shipment and our customers have really responded well to this brand. Herbal Mist sweetened green tea with honey and yerba mate is terrific. The flavor is extraordinary and the tea is excellently brewed. A great beverage brand. What can I say I love this tea. I have tried a few of them so far and each of the was delicious. With 17g of sugar it just the right sweetness. A great tasting green tea with honey and yerba mate that is great for our bakery. A perfect drink for those at lunch and tastes great.